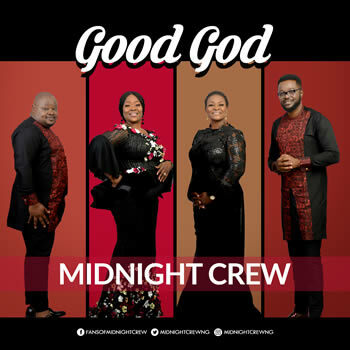 Nigeria's Iconic Gospel music group Midnight Crew is pumped up and loaded as the quartet celebrate their 17th anniversary with two brand new singles! "Good God" and "Congratulations." It's been 17 years of immense positive contribution to the ever challenging terrain of the Gospel music Industry. 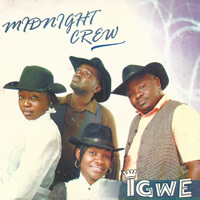 Through it all, God has been faithful, showcasing His pre-eminence through the creative arts and ministry of the Midnight Crew. The quartet has been responsible to their call by maintaining high level of integrity to their flock, even while expanding their frontiers and breaking new grounds. "It's an amazing feeling to have contributed fairly well to an industry with challenges within and without. To have proven that groups consist of individuals who can stand on their own and still keep the integrity of the group. To have enjoyed so much of God on just one song. The Midnight Crew story makes sense," the statement by the group reads. "Good God" takes the conventional thanksgiving-worship-praise song route. Performed by the Midnight Crew trademark voice of Pat Uwaje-King and Odunayo Ojo-Onasanya, the ladies bring Makossa to life. The vibrant, rhythmic and contagious melody of "Good God" takes one through a praise experience that will linger in the spirit. 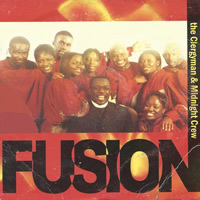 The Urban Afro-style of "Congratulations" by Midnight Crew motivates festivity, although Midnight Crew channels the dance and eulogies to Jehovah, the source of His children's testimonies. The song is somewhat prophetic as the Crew see every listener in the spotlight of celebration and believe all glory and praise will go to God. "Congratulations" is performed by the men of Midnight Crew, Olugbenga Oyebola and Mike Abdul. It is an invitation to the Midnight Crew's festive demeanor. "Good God" and "Congratulations" are also available on Boomplay Music via the links below, and will be added to other digital stores worldwide soon. You can call this one a sweet slice of beautiful thanksgiving to the DESIGNER OF DESTINIES. The colourful SHOUT HALLELUYAH video was directed and shot by the evergreen LEXTEN revealing the innate youthful energy and effortless synergy that MIDNIGHT CREW represent. 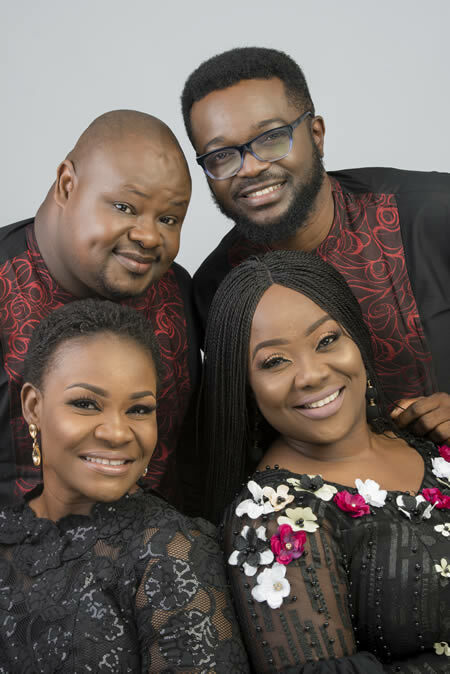 The record was produced by WILLZ and delivered by the joyful foursome of Pat Uwaje King, Odunayo Olamide Ojo Onasanya, Olugbenga Ademola Oyebola and Mike Abdul. 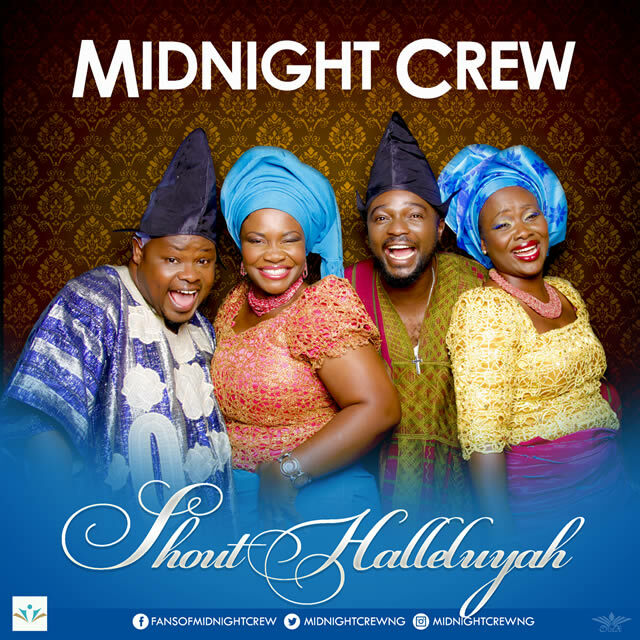 "Africa’s leading Gospel music quartet, Midnight Crew, celebrates their 15th year anniversary, with the release of their latest single “Shout Halleluyah” for free download. The release portrays the group’s__ gratitude to God and all the people who have been a part of their journey over the years. 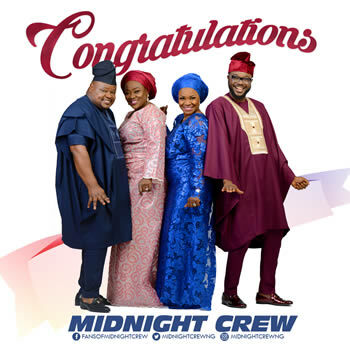 From their humble beginnings, breaking into a highly competitive Industry and enjoying mainstream success, Midnight Crew is cognisant of the ‘God-factor’ that has kept them relevant and in much demand for the past 15 years. The group has enjoyed collective and individual success, scooping awards, honours and recognition on her apex-bound path. In 2013 during their 12th anniversary, MidnightCrew announced that individual members will embark on solo projects while also fully engaged in and with the corporate entity. In 2015, the group joined the team of headliners for the 10th edition of the annual concert, THE EXPERIENCE, making that their 5th appearance at what is known as the world’s largest gospel concert. Despite the overwhelming rumours of breakup, Midnight Crew has become the epitome of a successful music group – a reference point for the Industry. “We are a testimony of God’s masterplan” says Pat Uwaje-King as she spoke on behalf of the group. “We started without knowing where all the plans will lead. We didn’t have any backup plan. There were no connections or financiers, but looking at all the feat we have surmounted, we can only give God the glory. We also sincerely thank all our supporters, family members and well-wishers for their immense support and encouragement through the years”. 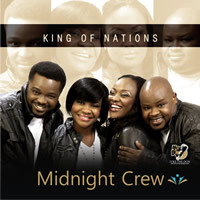 Join Midnight Crew at the 11th edition of THE Experience (2016), as they again, along side other gospel music greats, add their own flavour to the praise of the One who is Alpha, Omega, The Author and Finisher of our faith!" 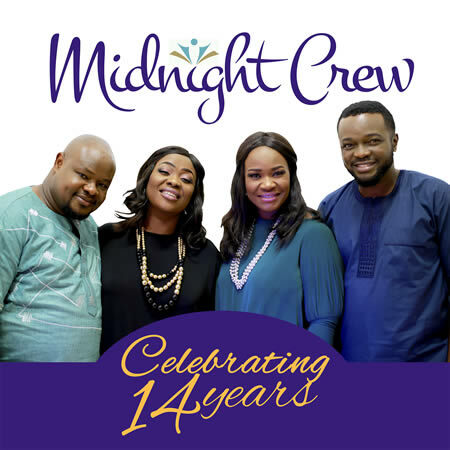 As we celebrate the 14th year of the ministry of Midnight Crew today, we cannot help but say a big THANK YOU to the One, True and Faithful God, the God of this vision, whose grace has sustained us up till this very moment. We bow our heart in humble adoration, giving Him our highest praise and declaring ‘glory be to His name’ for all He has done for us. Many have come and gone but we are still standing because of His faithfulness over us. Again, how can we forget you, our families, friends, fans and loved ones….you believed in us right from the start, you cheered us up as we attempted to interpret the assignment God gave us in our various individual and corporate capacities, and you stood by us through thick and thin, even when some thought to themselves….."they will not last"...….thank you and a big God bless you to you all. Finally, we present a “14th year anniversary gift” from us to you all and especially for the praise of our great God; a brand new single titled ‘SHOUT HALLELUYAH’…..coming soon to all digital platforms all over the world, in no distant time, you'd be able to download or stream this song from major digital music stores globally. Be blessed with this song and let the praise of our God continue from everlasting to everlasting. All Midnight Crew albums are now available on all digital music downloads and music streaming stores. You can also stream all 3 albums on Spotify, Youtube Key, Spinlet, Rdio, NMusic (Wynk - available in Nigeria; Sultn; MEO Music), saavn, Zvooq, Play.me, Deezer, Simfy Africa and all major music streaming stores worldwide. 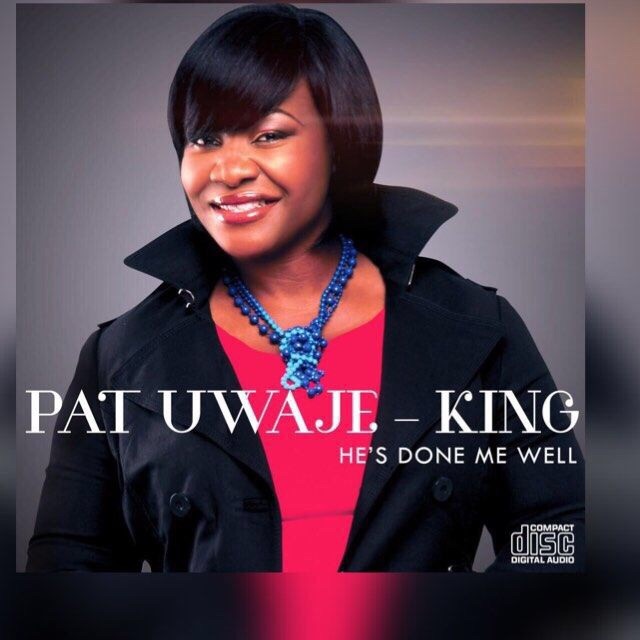 As part of our decision to allow individuals to further find expression in, and fulfill their perceived personal and divine call, we are pleased to announce to family, friends, fans and loved ones that Patricia Uwaje-Kinghas completed her album project. The album titled HE'S DONE ME WELL, being her first solo effort, is loaded with great songs to lift your spirit and divinely connect you to God in quality worship, and it promises to be a great blessing. You will love and enjoy this album. Today is the day of its release and it will be available nationwide and online for downloads in the earliest possible time. Once again we thank you for your prayers and continued support over the years. Hello people, we recently celebrated our 13th year anniversary. The show of love has been enormous and we have had some interviews and interesting reviews. We will be at 'The Experience Lagos 2014', its ninth edition, an annual concert hosted by House On The Rock. We are most grateful for another opportunity to minister at this concert and we will also be using it to celebrate our anniversary in grand style. We look forward to being a vessel in God's hands and to being a blessing to God's people. 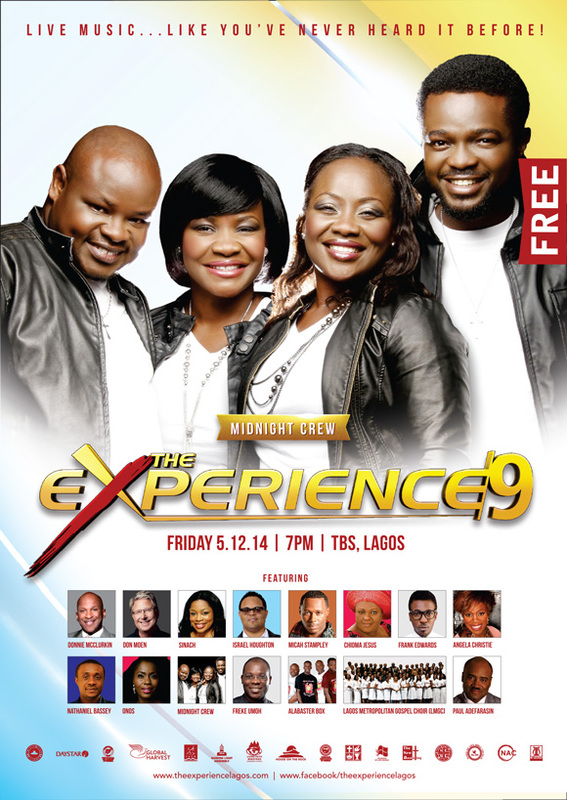 So come one, come all and let's have an awesome time in God's presence at 'The Experience Lagos 2014' One God One Voice!!! Yebo! Midnight Crew turns 13 today! 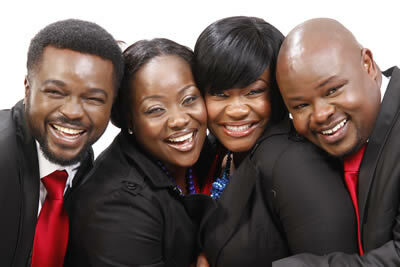 ‎It's been God all the way! We give all the praise to Him, our ever faithful Maker! We also want to take this opportunity to thank you all our esteemed friends and family who have stood with and by us over the last 13 years. We couldn't have done it without your prayers and unrelenting encouragement.Thank you! As we begin the journey towards our 14th, we trust God for a fresh grace and a new anointing to make a difference. We hereby reassure you of our commitment to putting the praise of God on the lips of all men, whilst we continue to rely on your prayers and support. Thank you and may God bless you all! We greet you all in the name of our Lord Jesus Christ our Saviour. First and foremost we will like to thank all our families, loved ones, friends and fans for being there for us all these years. Your prayers, words of encouragement, well wishes, and support in different dimensions have helped us grow to who and what we are today. God brought you into our lives for many reasons and what He has used you to do in our lives has formed some of the reasons why we are still standing today. Sometimes, just cheering us in the background gave us strength to keep moving when the going got really tough and when it seemed the smart way to go is give up and move on. We do not take any of these lightly and we give God all the glory for bringing you all into our lives. Once again, we say we are grateful. As we approach our 12th year as an entity that has enjoyed a lot of ground breaking experiences by the grace of our faithful and true God, we sense a shift, we sense the completion of a phase and the beginning of a new phase, we sense a breaking out, we sense a release, a regrouping to expand the kingdom of God through music……and it is no coincidence that 12 is a number of completion, governmental perfection, organization, divine government or rule. ..We may not have fully grasped the dimensions God wants to take us through in this new phase but we choose to trust Him who has the total picture and who is able to complete what He has started and take us to a glorious end. Having been there for us all these years, we feel we owe it to you to explain the new dimension we sense God is taking us to and through in this season of our lives and ministries.